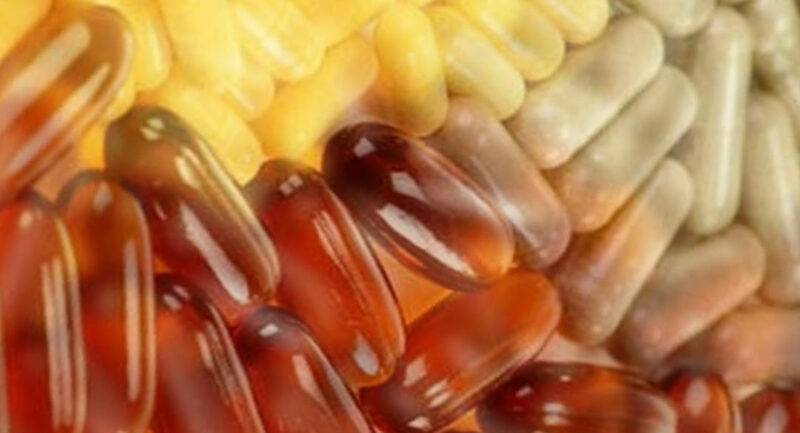 Supplements How Safe are Supplements? The media for the most part hates supplements. As they do homeopathy, claims that the MMR causes autism and just about anything that doesn’t tow the conventional line or that might offend the drug companies. As do many doctors it has to be said, but crucially not all of them. There are, thankfully to my mind, doctors who look at the body in an integrative way and see the bigger picture. I have to confess that when these articles come out in the press (as they do quite frequently) warning people about the dangers of supplements, it really makes me angry. Angry, because it doesn’t warn about the real danger and that is medications and prescribed drugs. And because supplements are not only not the problem but could stop people needing medications in the first place. I asked Dr Rajendra Sharma (a renowned GP who works mostly homoeopathically) what his thoughts on the supplement debate were and if in his opinion, there was any truth in the claim that supplements are harmful. 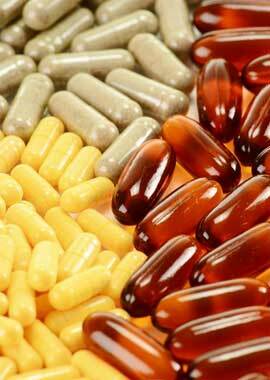 Recent studies conclude that the use of supplements may be, at best useless and at worst harmful. However, when we look at these studies, we find they are financed predominantly by the pharmaceutical industry who are known to publish papers that support their activities and tend to put in the dustbin those that would inhibit sales. Such theory falls on deaf ears for those trusting of the medical research process. The first argument is that there are far more papers published in scientific and peer-reviewed journals about most health conditions and their benefit from nutritional supplementation. The seminal work , although now needing updating , is ‘Nutritional Influences on Illness’ by Dr Welbeck. Also, go to www.vitasearch.com where you can tap in any condition and get nutritional and environmental aspects of published evidence of benefit. The second argument is that those negative papers that are published tend to come from the viewpoint of trying to prove that supplements don’t work. In the book PEO solution, Prof Brian Scott Peskin not only sets out how medical studies are predominantly faulty, but also that medical reporting is too easily biased. The majority of negative studies are based on groups with specific illnesses given pharmaceutical grade supplements or nutrients. Ill people are not likely to do well if their physiology is interfered with. I have always believed and agreed that these artificial supplements are potentially harmful. We have to obtain supplementation from food extracts and from my preferred source of citrate minerals and vitamins directly, if possible, from a natural source. Vitamins C, for example, is predominantly provided through a chemical process, starting with sucrose, and even those products labelled as ‘natural’ contain vitamins C which has never seen a fruit or vegetable. So what about the safety of drugs versus the safety of supplements? Other data further support the remarkable safety record of supplements. For example, data from the European Union indicate that pharmaceutical drugs are 62,000 more times likely to kill you than a dietary supplement! But what about their efficacy? The media loves to state that not only are supplements dangerous but they’re also completely useless. Well once again there is biased medical reporting on studies. However, there are, in fact, many studies that have found a multitude of benefits from different vitamins. For example, there was recently a much publicised editorial in the Annals of Internal Medicine titled: “Enough is enough: stop wasting money on vitamin and mineral supplements.” This was based on a study that looked at the effect of multi-vitamins on cognitive decline and memory. Turns out the the vitamin intake had no effect on the cognitive decline when compared with a placebo. However, they didn’t mention in the editorial that another study using the same PHSll data found a beneficial effect on cancer incidence from multi-vitamin use. Dr. Alan R. Gaby M.D. commented on this by saying, “the editorial appears to be biased and to lack scholarship as it is based on selective reporting and a superficial analysis of the vast and complex body of research on the health effects of nutritional supplements.” He also noted that two recent double-blind trials in fact did find positive effects from multi-vitamins on cognitive decline – neither of which were mentioned in the derogatory editorial. In fact, there was a study published in the US in September 2013 titled “Smart Prevention – Health Care Cost Savings Resulting from the Targeted Use of Dietary Supplements”. It concluded that supplements could save the US health care systems billions of dollars each year. This study didn’t even take into account that experts estimate that vitamin D alone could cut the rate of cancer by half. And the good news is that vitamin D is one of the least expensive supplements. I believe this is pretty compelling evidence that supplements are safe and hugely beneficial. And whereas medications most definitely have their place, and do often save lives (my sons’ included), they should be taken with extreme caution and only when absolutely needed. Wouldn’t it be wonderful for them not to be needed at all? To answer that let’s look at the recent Tamiflu vaccine scandal. As recently reported by Jenni Russel in the The Times, Tamiflu was developed by Roche to slow the spread of swine flu and to minimise reactions to it. Roche said it would reduce hospital admissions by 60%. Forty million doses were bought by Britain at a cost of almost half a billion pounds and it was given to nearly a quarter of a million people. Britain asked the worlds’ leading data reviewer, the Cochrane Collaboration, to examine the safety of Tamiflu. The researchers based their positive appraisal of the vaccine on the summary of 10 clinical trials. However, it turned out that all the authors of the trials, except for one, had worked for Roche. Eight of the trials were only in summary form and there really wasn’t enough information to properly evaluate the results. The Cochrane team wanted to therefore re-evaluate and asked to see the original data. So began a five year saga of Roche doing everything it could not to release that information. What’s interesting, and alarming, is that Roche was under no legal obligation to do so and did nothing illegal. Finally, last year, and after immense pressure, Roche gave in. The data showed that they had cherry- picked their published results. Tamiflu did not stop flu spreading, cut hospital admissions, deaths or complications. All it did was cut flu-like symptoms by half a day! It did, however, have some very serious side effects, one of which was suicide risk. It turned out to be toxic, caused psychiatric episodes, headaches and renal problems and many other unpleasant symptoms. And alarmingly, we the public, had no right to know the truth about Tamiflu. We can only hope, that in the light of this, new legislation will come into place. In January the Commons Public Accounts Committee pointed out that half of all clinical trials are never published and that positive findings are twice as likely to be reported as negative ones. It wants the National Institute for Health and Clinical Excellence to be granted the authority to demand trial data. The European Union recently announced that from 2016 all new trials will have to be registered and all results reported openly. We can only hope that this goes far enough. The segment about the pharmaceuticals manipulating the information that reaches the public outraged me (not that it surprised me). As far as taking vitamins, the issue really is which ones to take since men and women apparently require a different set of supplements, and well, remembering to take them! Also, I read a while back that an excess in Vitamin A could be potentially harmful, but that could’ve been also part of the campaign of misinformation. I’m rather clueless on this subject. It outrages me too!I once took too much vitamin A & turned slightly orange! However, when I stopped taking it, I returned to normal. I think, like everything in life, one needs to do things in moderation and with common sense. I don’t think any vitamin should be taken in very high doses. That said, vitamin D, may well need to be taken in quite a high dose if you are deficient. Maybe 5,000 – 10,000 mg a day. It’s good to to do a blood test first to see if you need it. Glynis I’m one of the I don’t take anything kind of people. However my parents both have supplement cupboards to rival yours. Well maybe I exaggerate slightly;-). If my boys or myself so much as sneezes or looks a little tired we get issued with a handful of vitamins and the offer of a bag full of bottles if we promise to take them. I must admit that if we zap the cold at the very first symptom it doesn’t normally develop. Both my parents are very fit and well whether this is due to supplements, a positive outlook on life, a well balanced diet, genes or a combination of everything I don’t know but it works for them. However my sister who has multiple health issues needs to take many tablets to maintain her physical health so no amount of supplements can prevent her from catching colds. Brilliant article by Dr Sharma. Just to make a comment on above – I think to have a proper therpeutic effect that some supplements do need to be taken in high doses and that RDA recommendations fall very short of what is needed by the body. However in some instances less is more and that is where a practitioner should come in. In the case of direct antioxidants such as Vitamin A or Vitamin C – in large doses they act to get rid of free radicals but in during that act become oxidants themselves. What also needs to be taken into account is the ‘plumpers and fillers’ i.e. the excipients that are used in the supplement. Again, should be within the domain of the practitioner to be able to recommend a ‘safe’ supplement. Thanks Fleur, so nice to have input from a professional! Btw, the quote in the box at start of article was Dr Sharma, but the rest of the article was me!